I’ve never felt that that motorsports really belong in the Olympics. Motorsports and the Olympics are good enough at being endless controversy factories on their own without combining forces, thank you very much. 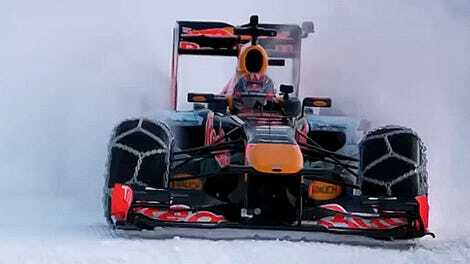 That being said, I’d love to see a Formula One car hoon down the Olympic ski slopes between races, as Red Bull did back in 2016 with one of their cars at Kitzbühel, Austria. 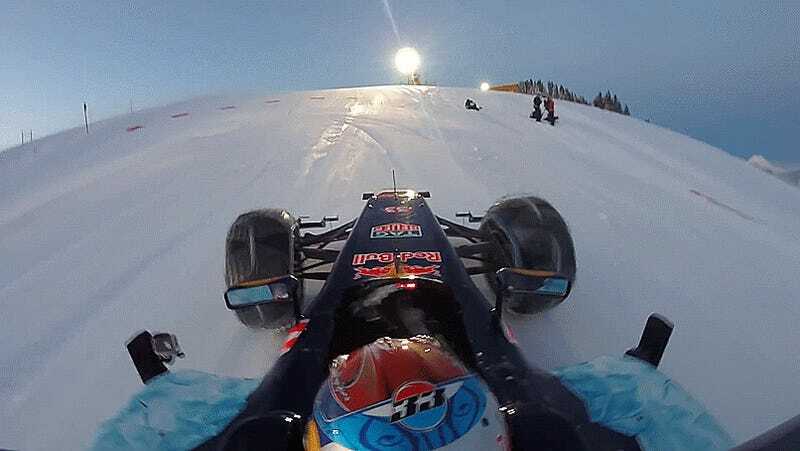 The Aston Martin Red Bull Racing YouTube channel has been releasing new onboards from many of their most infamous show car runs, including Max Verstappen’s infamous rip down a ski slope. They’re all a lot of fun, and worth watching if you’ve got some downtime to kill. This latest snow video looks to be a practice run, given that later edited footage showed a crowd standing at the edge of where Verstappen was running. Still, it’s fun to watch an F1 car blast around in the last place an F1 car should be. Now, I’m not asking for F1 to be an Olympic sport. The Olympics’ focus on more old-school pursuits is a breath of fresh air, and they really need to bring back the radness that is ski ballet before they think about adding anything motorized. What I am asking is for the Olympics to whip out a rad car between runs to rip down the ski slopes. Cut down on the time spent on talking heads doing their talking head things and give us F1 car snow runs. It’s what the people want.